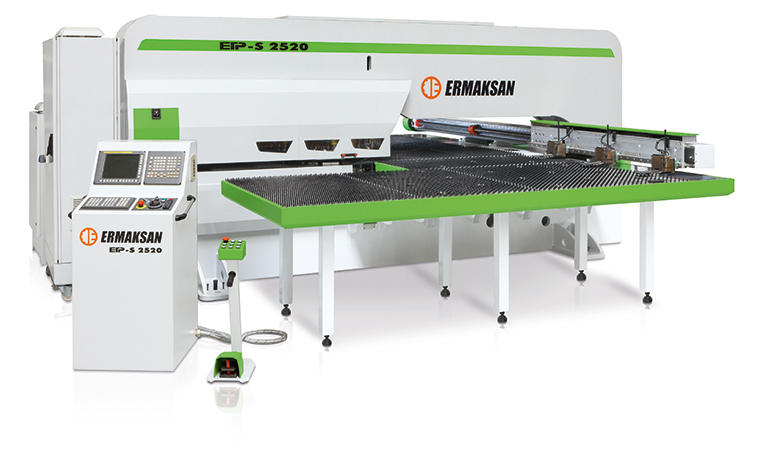 ETP SERVO CNC Servo Turret Punch Press - G & W Machinery Sales, Inc.
ERMAKSAN is a leading brand within the punching market place due to its experience and quality standards. 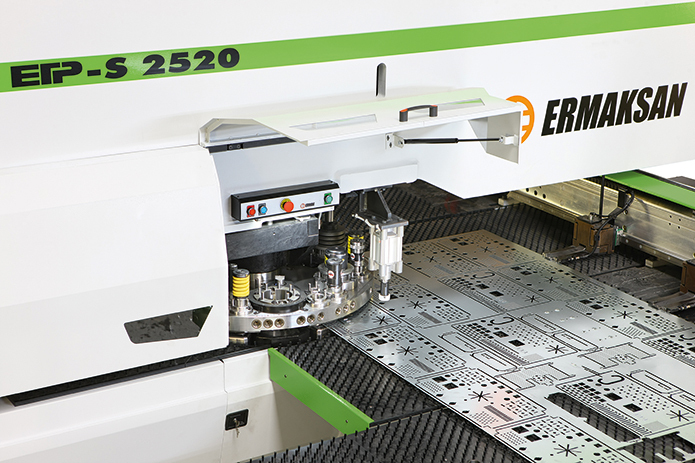 ETP CNC Turret Punch Press with hydraulic-free servo drive construction combines the world’s best brands in hydraulic, electronic and mechanical compounds in one machine. Specifically designed to meet customer requirements; its rigid steel structure + mono block frame allows you to punch up to 6 mm thick sheets. 3 automatic repositioning clamps and loading switches. 1 software (Lantek or Metalix). Software for using wheel and forming tools. Chain protection around the machine (safety system). Notching and forming tools for various dimensions and forms. Light barrier (for CE standard machines). Multi tools of 3,6,8 stations. Adaptors for various stations (B, C, D). Special coated tools for notching stainless materials (TIN, TICN, TICN Plus, MOVIC). Stainless steel table with ball bearing support.